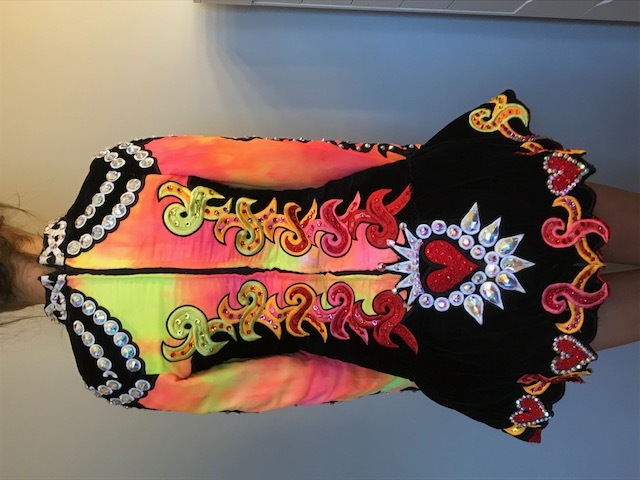 Stunning Shauna Shiels black velvet multi coloured tie dyed dress covered in Swarovski crystals in excellent condition. Head band and kick pants included. 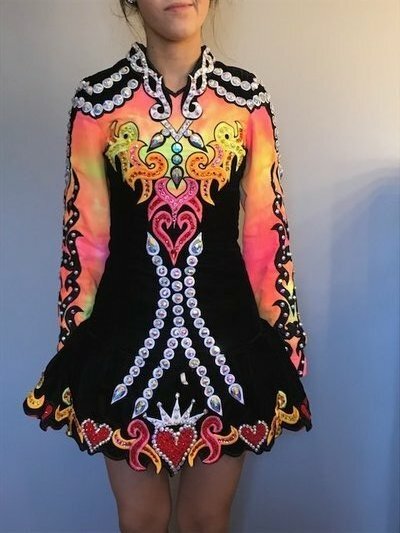 Dancer is 15 and very petite so dress may fit dancer from aged 12 years and up. Dress has room for let out and let down. Selling due to dancer retiring. Please contact me for further information if required. Asking price: £750.00 Ono. Shipping costs are not included and sale is final.